All of your opponent's Pokemon are now poisoned and asleep. ALL ATTACKS THAT THIS POKEMON USES DOES 50 MORE DAMAGE FOR THE REST OF THE GAME!!!! 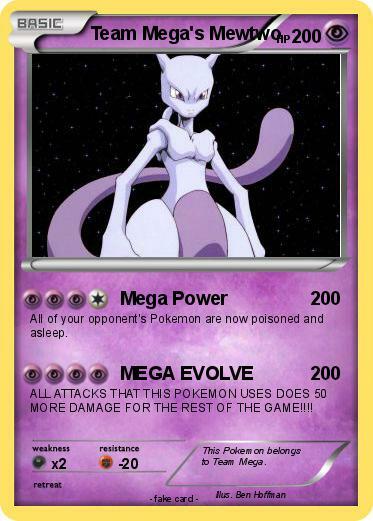 Comments : This Pokemon belongs to Team Mega.